This entry was posted in iPhoneography, Nature, Photo Challenge, Photography and tagged Helton Creek, iPhoneography, Nature, Photography, Sunday Trees. That is very interesting. I have never seen anything like that. Is it real? It definitely is real! 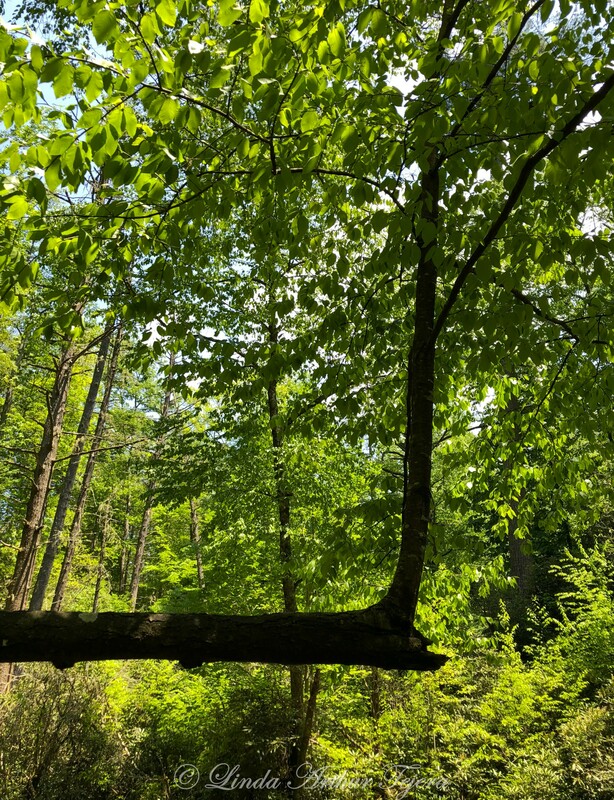 Looks like the tree partially fell and broke and then a new branch sprouted and grew! Just my opinion. It was taken at Helton Creek Falls in North Georgia! Excellent. I like how the trunk leads the view. You’re welcome. And happy weekend! I’m so ready to see all those green leaves again. I will say that some of our fruit trees have blossoms already. Most delightful. oh my!!! What are those GORGEOUS green things??? Are those LEAVES????? LOL LOL LOL!! Happy weekend to you as well…. We have a very large old oak tree in our front yard that has done the same thing and has the same look…ours was man created somewhere along the line due to trimming….looks unusual but awesome….great pic! I want to put a swing on it! Amazingly perfect 90 degree angle!